Is the hot hand in basketball a real phenomenon or a cognitive illusion? 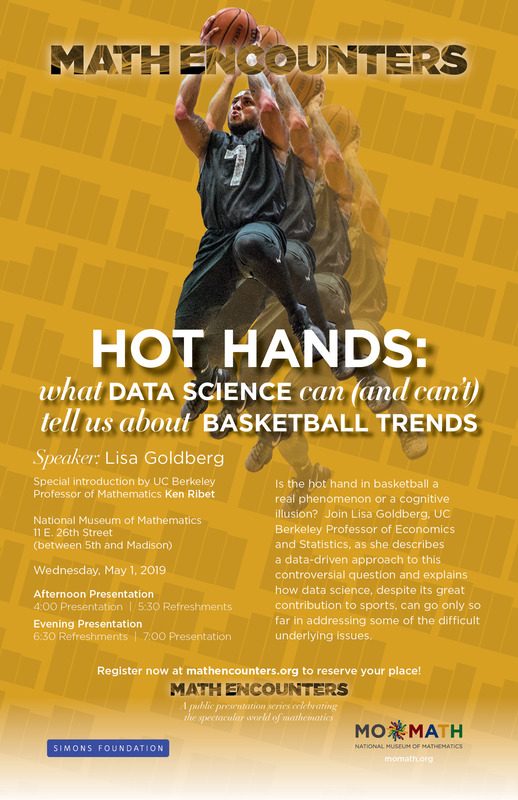 Join Lisa Goldberg, UC Berkeley Professor of Economics and Statistics, as she describes a data-driven approach to this controversial question and explains how data science, despite its great contribution to sports, can go only so far in addressing some of the difficult underlying issues. Special introduction by UC Berkeley Professor of Mathematics Ken Ribet.